Home Top Stories Pablo aftermath: why were the emergency telecom kits not sent to Mindanao? Pablo aftermath: why were the emergency telecom kits not sent to Mindanao? BAGANGA, Davao Oriental (MindaNews/13 December) — At the Incident Command Post inside the Department of Public Works and Highways compound here, everyone was excited on Tuesday noon as volunteers from the Telecoms Sans Frontieres (TSF or Telecoms Without Borders) were setting up an emergency telecommunication system that would allow them to make calls and send e-mails from where Typhoon Pablo made landfall dawn of December 4. “Mamaya baka may internet na ako” (We will be able to connect by internet soon), a smiling Lt. Col. Krishnamurti Mortela, chief of the 67th Infantry Battalion said. It has been a week since the telecommunications systems broke down as Typhoon Pablo demolished not only houses and agricultural crops but also towers of telecommunication service providers. TSF’s Sebastien Latouille told MindaNews residents could also avail of free calls when the system was set up before nightfall of Tuesday. Latouille, a French national, was with Tylor, a Canadian who teaches at the Asian Institute of Technology in Bangkok, while another team of volunteers was setting up the same system in Cateel. The TSF teams arrived in the Philippines from their regional base in Bangkok on December 2, two days before Typhoon Pablo (international name Bopha) was expected to make landfall in Mindanao, to coordinate with local authorities and response entities. Pablo made landfall here. At 4 a.m. of December 4, the eye of the typhoon was located, based on satellite and surface data, at 40 kilometers east of the eastern coast of Davao Oriental, packing maximum sustained winds of 175 kph near the center and gustiness of up to 210 kph, moving at 26 kph, the Philippine Atmospheric Geophysical and Astronomical Services Administration (PAGASA) reported. The TSF team arrived in Davao Oriental on Monday, set up the satellite phone by Monday evening and the internet by Tuesday evening. Latouille says they’ve not only deployed several TSF teams to the Philippines during typhoons but have actually provided emergency telecommunications kits and trained emergency providers at the National Disaster Risk Reduction and Management Council (NDRRMC) on setting up emergency telecommunications in disaster areas. An emergency telecommunications kit, according to him, consists of one satellite modem for internet, one satellite phone, one laptop, one printer, power supply with batteries. “I am not sure if the kit has a scanner but the basics are there,” Latouille said. Why the kits were not deployed to Mindanao from either Manila, other parts of Luzon or the Visayas either before or immediately after Pablo battered the provinces of Davao Oriental, Compostela Valley and portions of Davao del Norte, Agusan del Sur and Surigao del Sur, baffles Latouille. There are trained personnel at the NDRRMC and its regional offices who can set up the emergency telecommunications system. “We donated some kits to NDDRRMC. 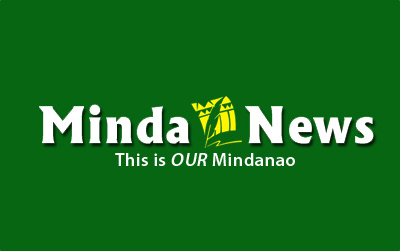 I do not know why they did not deploy them,” Latouille told MindaNews. MindaNews sent NDRRMC chief, Undersecretary Benito Ramos, a text message on December 13, asking why the kits were not deployed to Mindanao. Ramos has not responded as of 11:30 a.m.
A report posted on the website of ReliefWeb, a specialized digital service of the United Nations Office for the Coordination of Humanitarian Affairs, said TSF launched a series of trainings for local and international emergency response organizations in the Philippines, the first held in Manila on March 21 to 25 last year. The training sessions were funded by the Humanitarian Aid Department of the European Commission and were part of the emergency program set up after Typhoon Megi (Philippine name: Juan) hit the Philippines on October 18, 2010. The TSF conducted three week-long courses on “emergency telecommunications and focus on the equipment (37 kits) provided by TSF” to regions and provinces affected by Typhoons Ketsana (Ondoy) and Parma (Pepeng) in 2009. The TSF website said that of the 37 kits provided to the NDRRMC, 10 are emeregency telecommunications kits and 27 satellite phones. Targeted at emergency responders in the Philippines, each training was intended to “increase their awareness of these kits and ability to use them effectively during future disasters,” the report said. The trainings were part of the assistance of the TSF and the European Commission to the NDRRMC. In its website, TSF reported that the series of trainings on capacity reinforcement in emergency telecommunications ended in May last year with the second and third training sessions held in Tuguegarao, northern Luzon and in Manila. “Throughout this program, the objective for TSF is to optimise the actions and coordination between the beneficiaries (local and international emergency workers) to insure them more autonomy in their response in case of a future humanitarian catastrophe,” the report said. 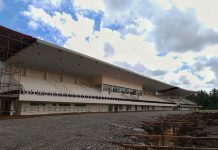 The typhoon-struck areas of Caraga, Baganga, Cateel and Boston were isolated the day Typhoon Pablo struck — in terms of transportation and telecommunications – as towers were toppled down and the usual route to these areas from the capital town of Mati was impassable when the bridge in Caraga was destroyed. Another land route, the Compostela-Cateel highway was also rendered impassable due to landslides and felled electric posts and trees. The other means of access were through the Cuevas road in Trento, Agusan del Sur, connecting to Lingig in Surigao del Sur and on to Boston, Cateel, Banganga and Caraga, and the San Francisco, Agusan del Sur route passing through Barobo and Bislig and Lingig in Surigao del Sur. The Cuevas road was declared passable by December 5 and has been the route used by rescue teams, health personnel and humanitarian agencies from Davao City. Travel time takes 6.5 hours from Davao City to Cateel and another 30 minutes to Baganga. From Butuan to Cateel via san Francisco takes six hours. Emergency telecommunications kits from Luzon or Visayas could have been flown to the airports nearest the disaster sites – Davao City and Butuan City – for deployment to the hardest hit areas as soon as the flights resumed on December 5. Although still limited in scope, SMART Telecommunications managed to provide telephone service through a signal from Barangay Baculin in Baganga by December 6, allowing the 67th Infantry Battalion to communicate through a booster set up by the provider. Latouille said budget was cited as a problem. The use of satellite in communications is “very expensive.” But he said the kits came with one week worth of free credits. Lt. Col. Mortela asked Latouille for an estimate on how much it would cost to use the satellite phone and internet system per day and was told it would likely cost around 500 US dollars. “That’s not really expensive,” said Mortela. Indeed, emergency telecommunications may cost P20,000 a day but Mortela says setting this up during the crucial period immediately after the storm passed, when important decisions were to be made on the deployment of rescue teams and health personnel to save lives and treat the injured, public works personnel to clear the road and humanitarian agencies to bring relief goods, would have been worth the cost.